The official trailer offers a greater look into the sweltering savannah that we already know and love. Several iconic shots from the original film are ready for nostalgic consumption: Simba (Donald Glover) quite literally following in his father’s large footsteps, the terrifying stampede in the gorge, and a grown-ish Simba frolicking through the wilderness with a DTF Nala (Beyoncé *Knowles-Carter*). We still don’t actually HEAR what Glover sounds like as young or old Simba, nor Queen Bey as Nala. We do, however, get an ominous voice-over from Uncle Scar (Chiwetel Ejiofor) and a not quite as ominous but tragic nonetheless because we already know what’s going to happen to him voice-over from Mufasa (James Earl Jones) about taking one’s place in the — all together now — *circle of life*. Sweeping shots of the Pride Lands, antelope antelope-ing, and baboons pondering off into the distance pair nicely with said voice overs, making this under two-minute clip perfect bait for all the nostalgia hounds who are ready to devour their next remade dish… that isn’t Aladdin. 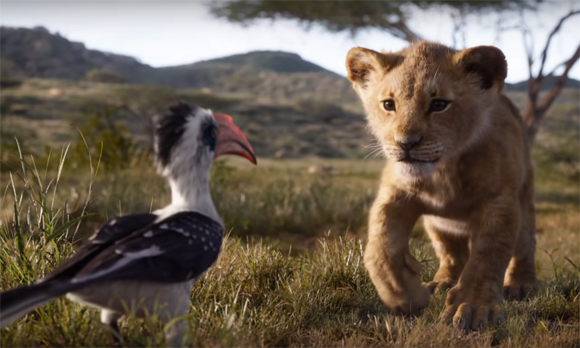 Except for a few unimpressed hyenas, Twitter was generally feeling the love for The Lion King’s new trailer. 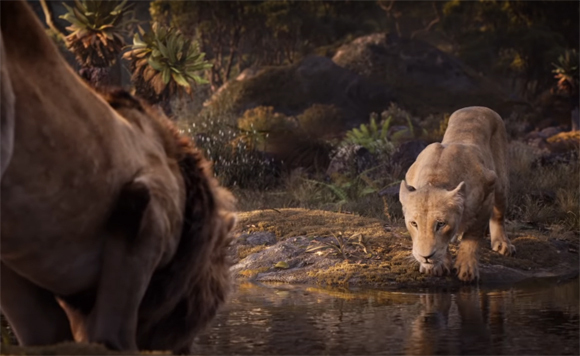 Many couldn’t help but pounce with excitement over the incredible visuals, the inevitable heartbreak from a certain post-stampede scene, and quite possibly the trailer’s (heck… the FILM’S) crowning moment: Timon (Billy Eichner) and Pumbaa (Seth Rogen) singing their infamous rendition of The Lion Sleeps Tonight. Ch-ch-check out the full trailer (above) and see some mixed reactions (below) — then share YOUR thoughts in the comments! What do U think, Perezious readers? Are you excited for The Lion King remake, or are you running away and never returning? The Lion King roars into theaters on July 19, 2019!